The Chocolate Muffin Tree: BEAUTIFUL Yarn Hearts! 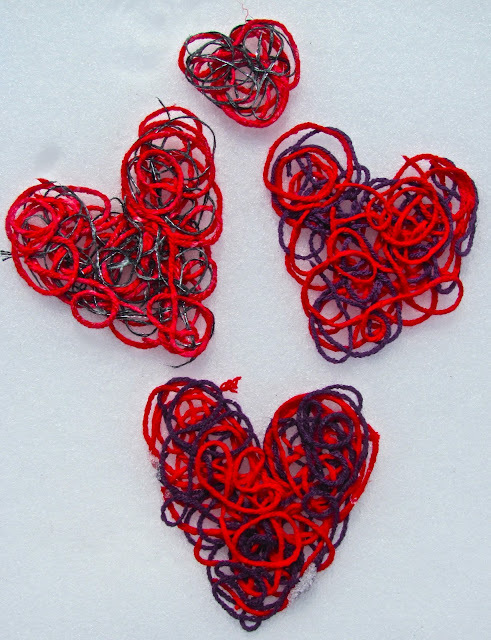 Finally created these yarn hearts thanks to the blog Chalk In My Pocket . This is truly a beautiful blog and if you haven't checked it out I recommend it! Originally I saw this idea in the Family Fun February 2011 magazine. My daughter was a little apprehensive getting her hands gooey, but really enjoyed it! Here is a finished heart with purple and red yarn. Thicker yarn works better after experimenting! 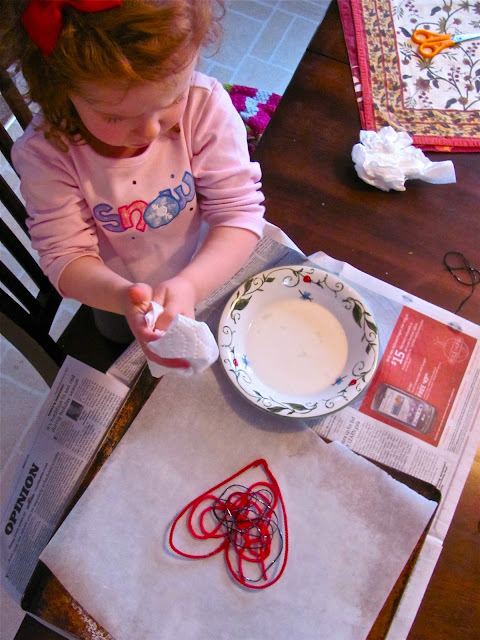 Use a cookie cutter heart or a pipe cleaner shaped into a heart on a wax paper lined tray to frame the loopy yarn shapes. I used 4 oz. water to 2 oz. of white glue mixed together to dip 12 inch yarn strips into the mixture. Carefully squeeze most of the glue and water mixture off the yarn with two fingers and swirl the yarn pieces into the heart. Messy--but fun! 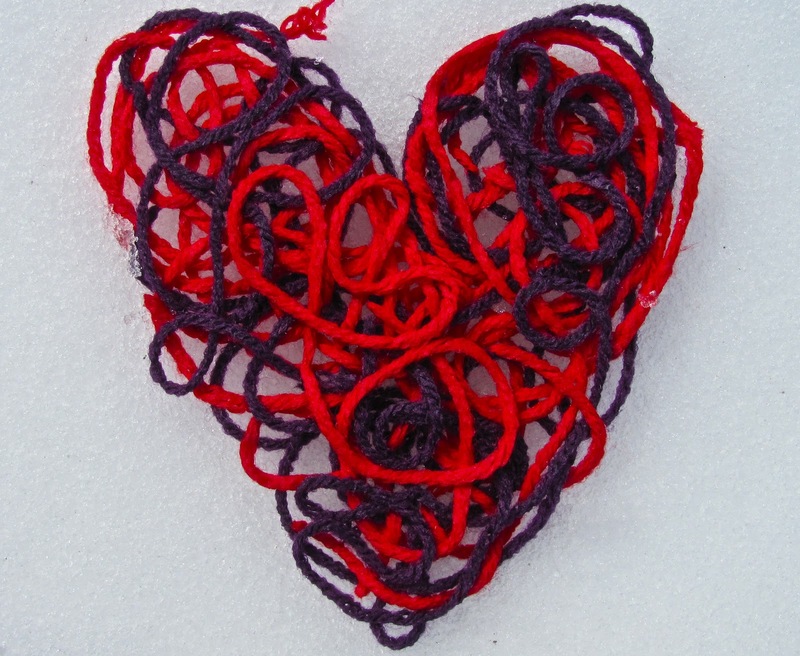 Make sure to overlap the yarn and fill in the edges so your creation will resemble a heart. Too little yarn will be too flimsy! Cassie really enjoyed putting the yarn in the heart! You need to let the heart dry for a day so that it will stiffen up. You can add a string to hang the heart like an ornament. more colors or use a multi-color yarn to start. Glittery yarn looks cool!